Here’s a pic of me and Andy Skellam playing at the Scary Canary in Stourbridge last Feb.
Not sure who that is in the background. Maybe Bertrand Russell about to break out a riff on the mandolin. Gideon Coe aired “I’m Hung Up on You (Like a Hanglider With a Rusty Screw)” on his BBC 6 Music show just before Andy and I played the BBC 6 Music Fringe Festival at Start the Bus in Bristol. You can listen to all the tracks from “All Wrapped Up and All Undone” and download the EP at Bandcamp. Spring Dates: Saturday 23rd May and Sunday 24th May at “How the Light Gets In” Music and Philosophy Festival at Hay on Wye (Runs alongside Hay) Wed 28th Jan Get thee down to Folk Tales at the Scout Hut. 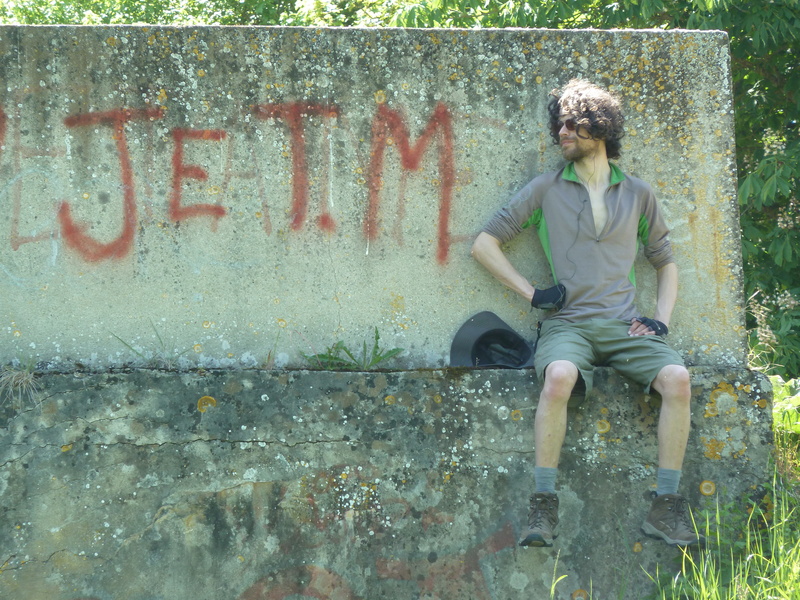 I’ll be playing / telling a tale 8.30pm £4.00 Sat 31st Jan Boiling Wells St Werbs Farm 2.45pm £3.00 Feb 3rd The Canteen Stokes Croft Acoustic Night with Rosina Buck Wed 21st Jan I’ll be playing a couple of songs at The Undergrowth Collective Night. The Greenbank 8.30pm Free. There’s a great audio interview out now with Jack Thurston on the Bike Show. Jack and I roll out from Bristol on a gorgeous summers evening after Jack’s talk on cycle touring as part of the Bristol Bike Festival. 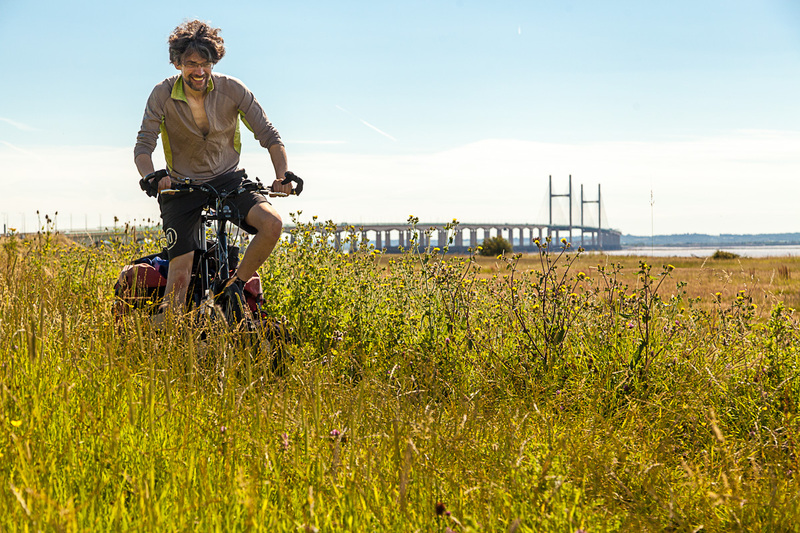 We brave Avonmouth’s apocalyptic industry, find a wild camping spot by the River Severn, run away from cows, discover an abandoned chapel and generally chew the cud. There’s also time for a couple of tunes with the guitar I brought along the way.